View cart “Natural Vitamin C” has been added to your cart. 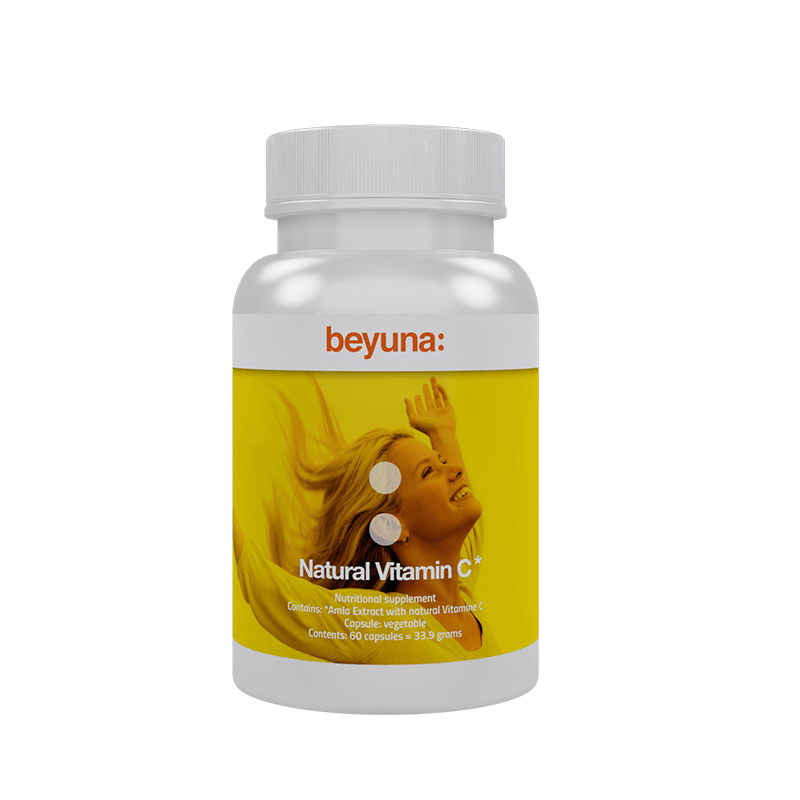 Beyuna Natural Vitamin C is a unique product developed using the latest scientific research. Natural Vitamin C is extracted from organic Amla berries and is therefore 100% natural. Natural Vitamin C contributes to the protection of cells from oxidative stress and increases iron absorption. Natural Vitamin C contributes to the reduction of tiredness and fatigue. Natural Vitamin C contributes to the normal function of the immune system. Natural Vitamin C contributes to normal collagen formation for the normal function of blood vessels. The recommended dosage for adults is 2 capsules per day. Take two capsules per day with a glass of water with a meal. A dietary supplement is not a substitute for a varied diet. A healthy lifestyle and a varied, balanced diet is vital to maintaining good health. Suitable for adults and children aged 12 years and older. Dark, sealed, cool and out of the reach of young children.